Seeing the value of investments going down is not a pleasant sight and many investors stand confused wondering whether the carnage will stop or not. The past two months have been quite volatile for the equity market investors. The stock market's dream run came to a grinding halt after crisis-ridden IL&FS defaulted on its interest payment, triggering liquidity concerns among non-banking finance companies (NBFC). Many NBFC stocks were thrashed badly but the bashing was not limited to just NBFC stocks as it dampened the overall market sentiment. Seeing the value of investments going down is not a pleasant sight and many investors stand confused wondering whether the carnage will stop or not. Over the past two years, equity mutual funds have received unprecedented inflows with monthly Systemic Investment Plan (SIP) figures crossing Rs 7,700 crore per month. At a time when investor confidence was on the higher side with a record SIP investment, such a steep correction is bound to shake the confidence of many investors who are new to such volatility in equities. Those investors who have just started investing or who had invested large amounts just before the fall are the most worried lot pondering over if they should continue with their investments or not. However, if you are a long-term investor with diversified investment, there is nothing much to worry about. What led to the recent correction? 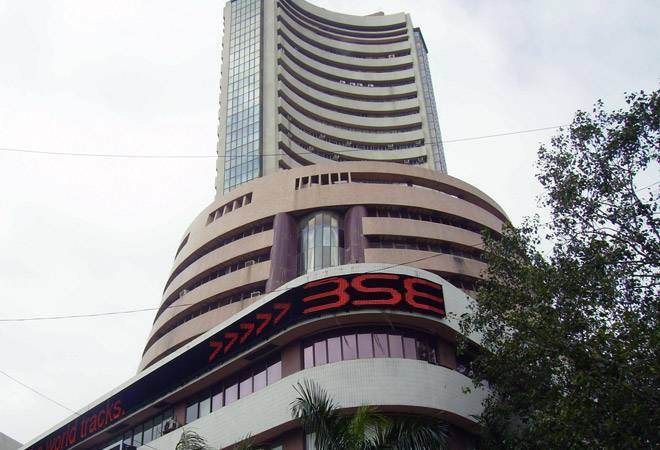 The benchmark S&P BSE Sensex, which touched its all time high of 38,896 on August 28, 2018, has corrected 12 per cent (around 5,000 points) from its peak. Currently, the index is hovering around 34,000. Most equity mutual funds are in red over one year period with the average fall of close to 0.69 per cent in large-cap funds and the worst performing category -- small cap funds -- is down around 14 per cent. Stock markets are known to go through many such volatile phases. The recent correction, which started with IL&FS crisis, became a trigger and the fall was soon accentuated by many other adverse factors such as the rising crude oil prices, tightening of monetary policy by US Fed, trade wars between US and China, falling rupee and widening current account deficit in India. This led to a sell-off of around Rs 34,000 crore by foreign portfolio investors (FPIs) so far this year from Indian equity markets, further weakening the market sentiment and exacerbating the fall. Investors with long-term horizon should continue investing as these are short-term gyrations and the long-term growth story of India remains intact. India is the fastest growing economy of the world and it is expected to continue growing at a similar pace in foreseeable future. Stock markets are also expected to do well over long-term as the companies are likely to benefit from the consumption and income growth. "For a smart investor, these are just temporary setbacks, which will get recovered soon because the overall economy of the country is moving on positive trajectory and GDP is rising despite all odds. It means the overall scenario is pretty encouraging to invest in SIP, but for the genuine investors, who aspire for long-term profits and are not impatient for short-term gains," says Rachit Chawla, Founder and CEO, Finway. Therefore, investors shouldn't worry and continue with their investments for long-term. Even historic data supports the fact that in long-term, equity market investors have lost money on a very few occasions. If you would have invested for 10 years on any given day in the past (from April 1979 since when the data is available) in S&P BSE Sensex (assuming Sensex is a mutual fund), the chances of you losing money was only 1.04 per cent. On around 77 per cent occasions, the return was greater than 10 per cent even in case of lumpsum investments. If you have witnessed a big correction in your investment value, you can use this opportunity to add some stocks at lower prices, which will bring down the overall cost of your investment. If you are an SIP investor investing for long-term, these short term hiccups should not bother you at all and in fact such situations offer opportunity for SIP investors to accumulate more units at lower prices. In case of SIP, you invest a fixed amount every month irrespective of the market level. So, when the NAV of the fund falls, you get higher units at lower price, thus bringing the overall cost down. For example, if you are investing Rs 5000 per month. You will get 500 units when the NAV is Rs 10. Suppose, the NAV goes down to Rs 9, you will get 556 units approximately. So, the average cost of units (500+556) will be Rs 9.46 (lower than the actual cost at which you purchased). If the NAV goes to Rs 11, the value of your investments will grow to Rs 11,616. So, the best thing to do during market downturns is let your SIP investment continue. Withdrawing or stopping the SIP during market downturns is the worst thing an investor can do. "Investors with the long-term horizon should continue with their SIPs. A falling market provides an investor with an opportunity to lower the acquisition costs of their investments," says Pradeep Agarwal, CEO, Meri Punji, a Delhi-based financial planning company. We would like to caution investors that no strategy is risk-proof. SIP reduces the chances of you losing money as it average-outs the cost but it is not that you can't lose money if you are investing through SIP. If you withdraw money in one go during a market crash (such as the one witnessed during 2008), you may lose money or your returns could be far lesser. Therefore, to reduce the chances of losing money, the exit should be planned systematically when you are reaching your goals. "As a thumb rule, an SIP investor should shift the existing corpus about two to three years before the goal date from equity schemes to debt schemes. Further, the investor should continue with their SIPs in the debt scheme for the remaining period," says Pradeep Agarwal, CEO, Meri Punji. The above is a general rule, however, if the market conditions are volatile, calls can be taken either to advance or delay the shifting of funds, he added.